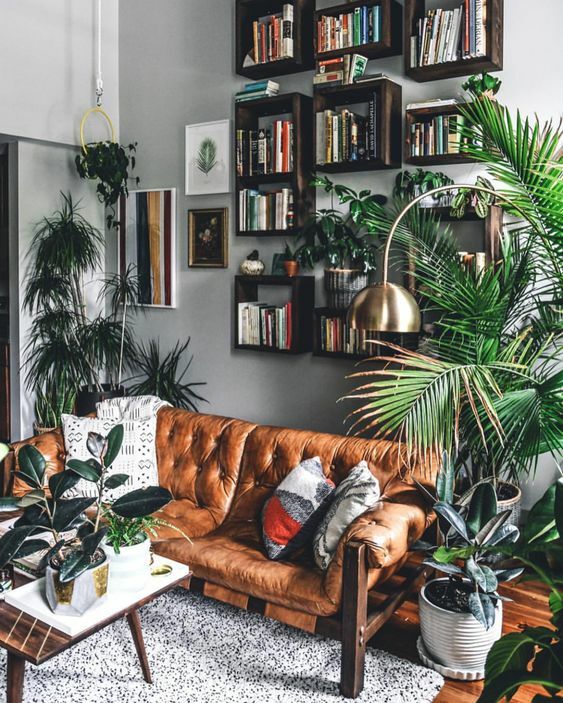 As we have discussed about indoor plants and the shelves to beautifully decorate the room, now we can talk about how a living room can be really pretty with all the plants inside. With its calming green color, you will always find the tranquility in the comfort of your living room. 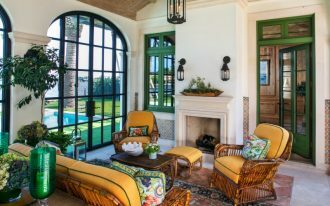 And even though plants can look crowded, with the right composition, the greens will enrich your living room. Now, let’s see how plants can affect the living room. 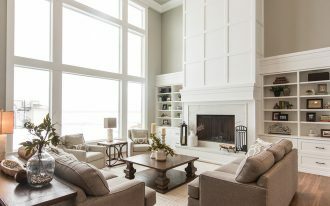 Sometimes, living room can be parted into several parts. 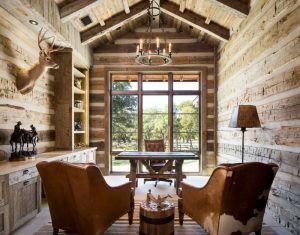 Sometimes it has TV, sometimes it only has bookshelves. It all depends on the preference. Even a corner like this can make a great corner that you will enjoy daily especially if you store your favorite music player or books here. 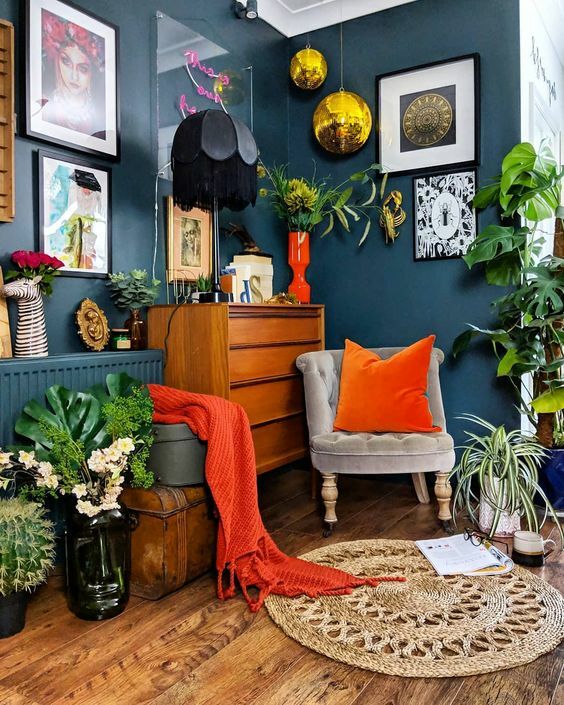 And this corner has accentuated the bohemian feeling strongly with the macrame and the plants on the wall and on the shelves. You can see that with warm and quite dark surrounding, the quantity of the plants do not make it crowded. 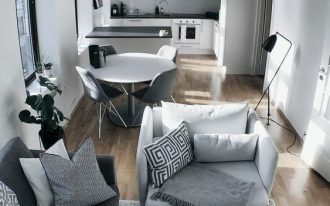 Similar to the previous one, this one is also a corner that you can use as much as you can with your living room. As you can see, the dark grey background here actually support the colors to look even brighter. And the plants here are standing out with its green color. 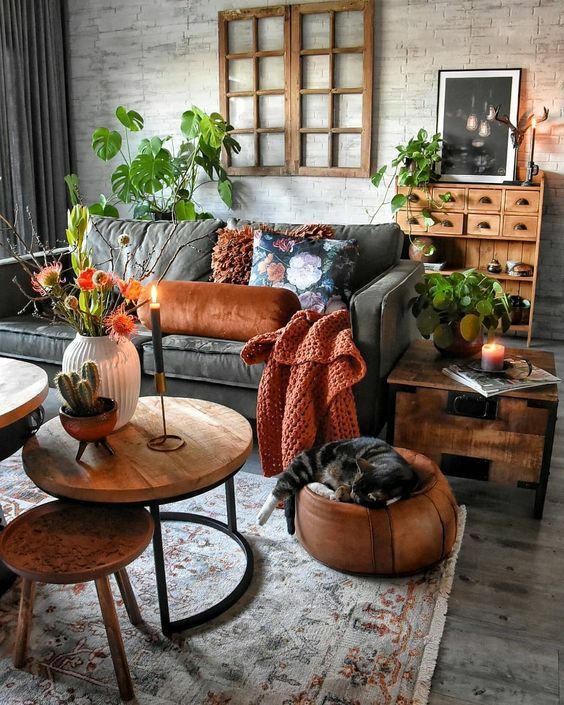 Here, you can see how plants combined with all the colors from the pillows, not to mention the wall accessories that give its own touch to the room. 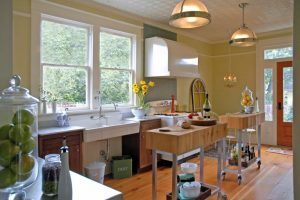 However, even though it all looks full, it is still beautiful with the vintage choice of furniture and look. 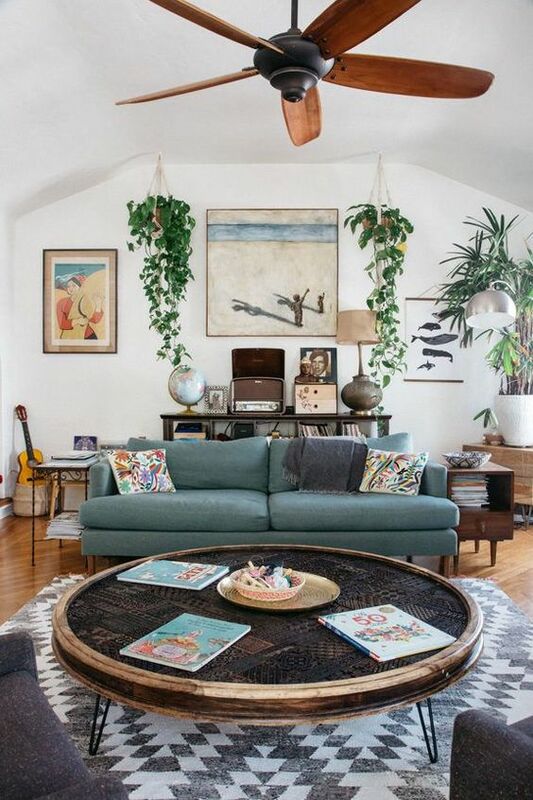 The plants are on so many levels: from the ceiling, on the wall shelves, on the floor, and on the table. For you who love warm and colorful room, this set is perfect for you. 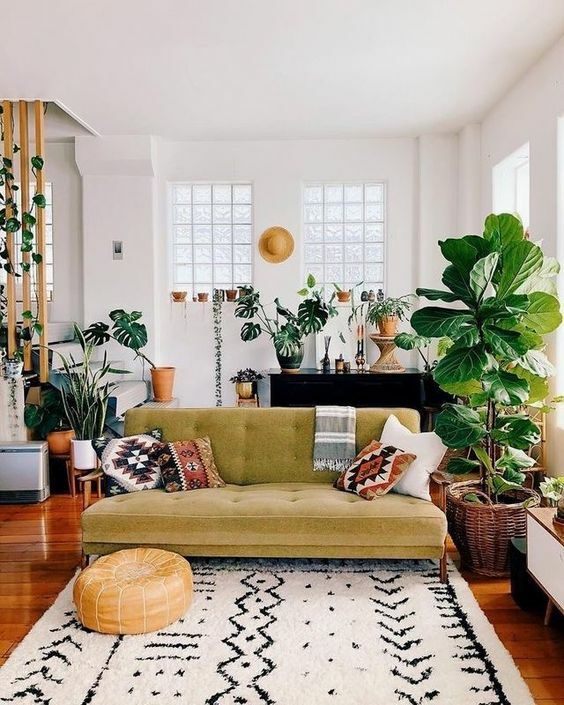 If your living room has already set in minimalist tone of colors and you want to make it more cheerful without ruining the mood, indoor plants is the best answer. 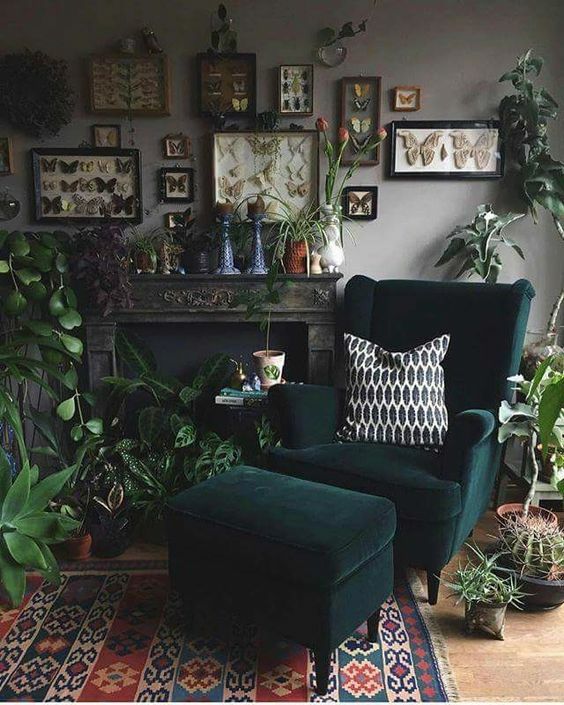 As you can see from the picture, even though the floor and the sofa is grey and the other is brown, with the touch of green plants and a little bit of flowers, the room is bright. 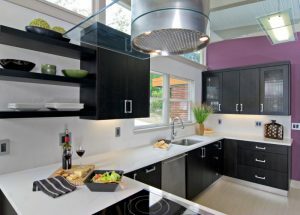 Similar with the previous one, this one here is also successfully put the green plants to add the color palate of the room. Without the plants, the room will be more serious and empty. With the plants, it’s more cheerful. This one is another living room corner that sometimes can’t be uncounted when it comes to decorating. This one here is for you who love indoor plants and cannot decide which one is in and out. This is for you who love to be around plants. 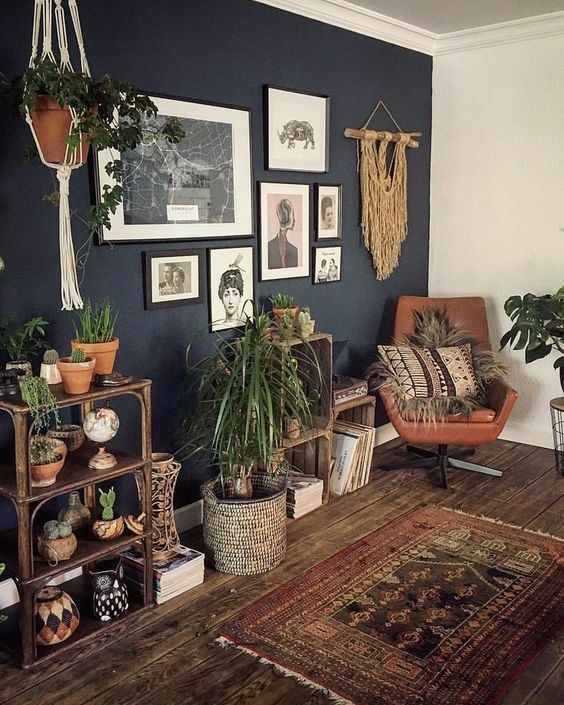 You can put the plants on the floor around your chair, the tables, the wall, the shelves. 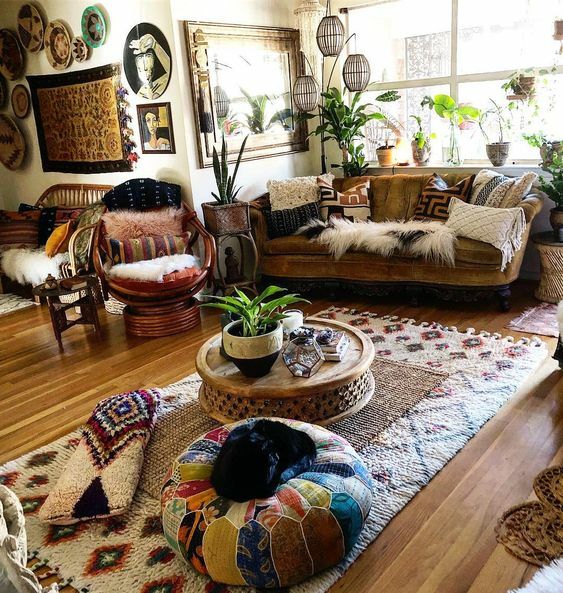 Plants are closely related to bohemian theme and that’s why bohemian theme room is usually with plants and room with plants can look a little bit like a bohemian room. 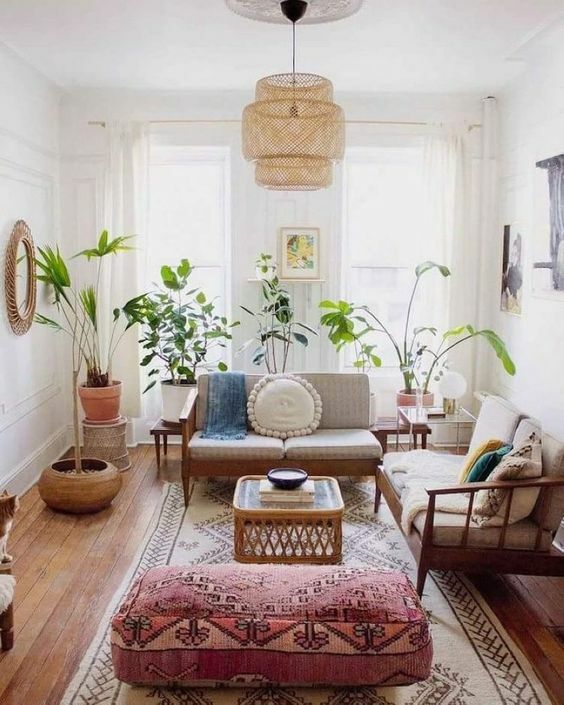 This one here looks a lot like a bohemian-themed room with its plants, its warm colors, rug, wooden furniture. And it all looks just right in place. This one here put the plants in the pot that hung from the ceiling. With not so many plants, the plants from the ceiling is actually so on point. 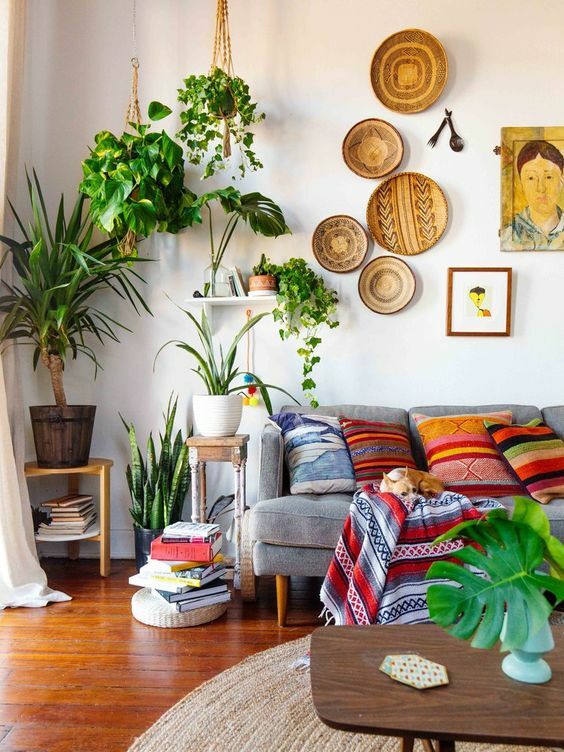 The best thing about these two hung plants is that it fills the room from the above so that the low part of the room is quite airy. Even the other plant is put on a table and it grows highly. 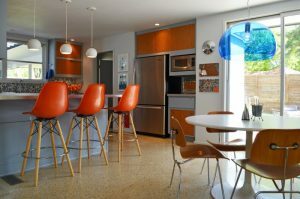 Similar with the previous one, this one here also offers bright look with comfort of sofa, pillows, and rug. The plants are put on the stairs, the floor, or the piano. With white wall background, the green color of the plants are on point. 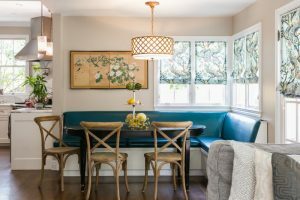 This one is another vintage living room that still offers comfort and bright light to the room. Not only that, the plants on the back gives more accent and colors. It makes the room more cheerful.